This article about the 5 best golf drivers for beginners is the first in a two-part series written by guest writers Tony and Paul, creators of Golfers Authority and inventors of Accuhit golf training aid (read below for bio). Please click on the link in this paragraph for part 2 in the series. 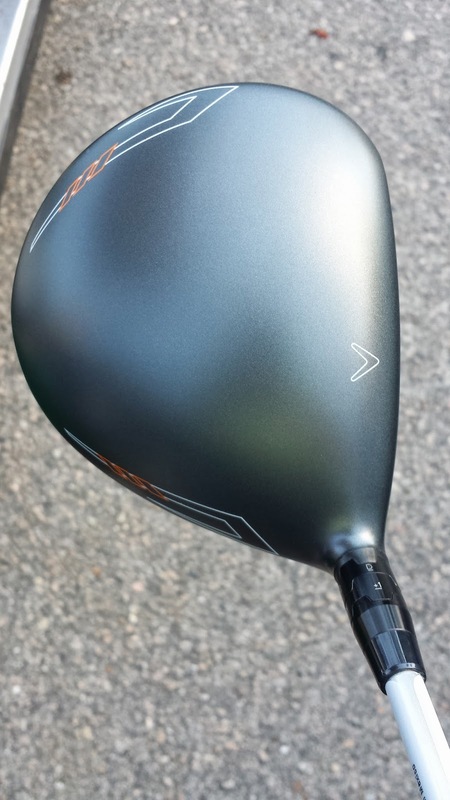 Part one in the series describes features and fit you should consider before you buy your new driver; part two focuses on the actual benefits of the five drivers suggested for beginners. ENJOY! As you begin to play the game of golf, finding the right equipment that performs well now, but can also grow with you as your swing changes, can be a difficult challenge. To help you begin your search, we created a list that provides you with the 5 best golf drivers in today’s market for your developing swing. In reading this article, you will learn the different components of the modern driver, which makes each of these clubs similar, and what makes each club unique. By taking you through each different aspect of this crucial club, we hope to lead you to the one you should be using when you are making your next driver purchase. Each swing is different and there is no one driver that is universally best for everyone. However, there is a driver that is best for you and it is our goal to help you arrive at that club with this article. Players often use their golf drivers on most par-4 and par-5 golf holes. Some holes may introduce sharp terms called “dog-legs” that force you to use another club that does not fly as far as your driver. Drivers are created with the largest clubface and offer golfers the most distance and forgiveness when hitting the golf ball from the tee. Your driver will likely be the second most used club in your bag and demands significant attention when you are making a club buying decision. Each driver model is unique, but all drivers share important components that help golfers during their rounds. Every driver is made with a club head that reaches 460 cubic centimeters, (cc), in size. This is the maximum allowed size for the game of golf. Each club also is matched with a shaft and grip that helps complement the overall design. Below we go through each of these individually to help you choose options that are right for you. Club Head: Drivers share commonalities of loft, centers of gravity (CG), and moments of inertia (MOI), that give each of them their playing characteristics. In their most simple of terms, the loft will have the largest impact on how high the ball flies after it leaves the club face. The CG will determine spin rates and the MOI will allow the club to be more or less forgiving. Beginning golfers should look for drivers with more loft, lower and rearward CG, and the highest possible MOI configurations. The combination of these three factors will give you a driver that is easier to hit and that helps you develop important swing fundamentals. Shaft: Each driver will come built with stock shaft offerings. These shafts are created to compliment the club head characteristics of each new driver as they are built. Aftermarket shafts are available, but will charge upwards of $300 additional dollars and are usually not recommended for swings still under development. Shafts are categorized based on their weight, flexes, and bend profiles. Choosing the proper weight and flexes for your shafts will help you get the most out of your new driver. The shaft should be thought of as a timing device that helps you deliver the clubhead to the golf ball. Getting a shaft that helps you keep your swing on track will improve your consistency and shot patterns. The parameters you should concern yourself with most in your shafts are the weight in a range of 50 to 70 grams and flexes between amateur, regular, and stiff. More advanced players may find a benefit in heavier and stiffer shafts but that will be your concern later. Understanding what you need from a driver is paramount to getting the best one for your game. As your swing develops, it will be important to begin to track your shot patterns and performance as you play golf. To start, players often struggle with slice golf shots. These shots will curve to the right for right-handed players and left for left-handed players. If this sounds like you, then club fitting devices can be built to help you get the most from your new clubs. Golf companies often offer drivers with more weight positioned in the heel of the driver. This weight helps slow the heel of the club down and allows the face to catch up and become squarer at impact. Beginners can benefit greatly from getting a “draw-bias” driver to help them eliminate their big miss. When you go for your first club fitting, you will be given a bunch of terms that can be confusing if you are hearing them for the first time. We want to take you through a few of those so that you can be confident when you are testing different clubs. Club swing speed: this is the speed at which you will be moving the club around your body at impact. Higher swing speeds will lead to longer drives and this is something that will continue to improve as your swing becomes more efficient. Ball speed: the rules of golf set a limit for the maximum amount of ball speed that can be produced from a swing speed. Swing speed input to output is limited at a 1:1.5 ratio. Examples include a player swinging at 100mph can produce a ball speed of up to 150 mph at complete efficiency. Players swinging at 80 mph should optimize for ball speeds at 120 mph and 90 mph swing speeds at 135 mph ball speeds. Efficiency or smash factor: these terms are interchangeable and reference the quality of strike with the golf club. Strikes in the sweet spot will result in a smash factor near 1.5 and give the best ball speed for swing speed. As strikes move away from the center of the club face, this efficiency rating will diminish, and players will lose distance even at the same club head speeds. Launch angle: this is the angle that the golf ball launches as it leaves the club face after impact. Launch angles that are too low will result in drives that fly shorter than they should and the same is true for angles that are too high. Depending on your swing speed and swing characteristics, your ideal launch angle can differ. Making sure that your golf driver is launching through the correct window is the best way to make sure your new driver is optimally fit for you. Spin rate: is the term used for the backspin applied to the golf ball during its flight. Too little backspin will cause the golf ball to fall out of the air too quickly and lead to distance loss. Too high of spin can cause a ballooning-effect and cause shots to fly shorter than they should. Another important consideration of spin rate is higher spinning shots create a more stable ball flight that will curve less offline in poor swing conditions. Carry distance: is the distance that the golf ball will travel before it hits the ground. This is often the number that club fitters will focus on most as the course conditions and temperatures will have the larger impact on your total distance. When comparing drivers. This distance should be considered the most. Total distance: is the distance the golf ball travels until it comes to rest. The carry distance plus the rollout will yield the total distance. This number can fluctuate as the ground hardens and softens with different levels of moisture and changes in the landscape. Golfers often report this distance as their driving distance but it should be looked at critically due to the variability outside of the golfer’s control. Anytime you are trying new clubs, it is important to remember that your club fitter may hold multiple objectives. They may be trying to get you the best equipment for your game, but they may also be trying to sell you an expensive new club. Make sure that you understand exactly why they have set up a club the way they have and how it helps your swing. Why did you give me that loft? The static loft of the golf club will have the largest impact on your golf ball launch angles and spin rates. Beginning players are often encouraged to have more loft so that their ball flight is more stable, and their misses are less severe. Are all 10.5-degree loft drivers the same? No. Depending on the center of gravity and clubhead construction, similar lofts can have very different impacts on ball flight performance. Make sure you are coupling your loft of choice with a CG that is low and back. What is the difference in standard model drivers and draw-bias designs? Draw-bias drivers have more weight in the heel and can help golfers eliminate slice tee-shots. These drivers are great for beginning golfers and can help keep the ball in play. An important consideration, if you are planning to use this driver through a developing swing, is that some drivers enable the weight so that it can be moved as their swing adapts and improves. What weight of shaft do I need? The weight of the golf shaft can have the largest impact on golf club delivery and performance consistency. You should consider testing different shaft weights, especially in the 50-, 60-, and 70-gram ranges. Even at slower swing speeds, a heavier shaft can help golfers to maintain their swing plane and produce better, more repeatable golf shots. Do I need a regular or stiff flex shaft? Without testing different shafts, it can be impossible to know which is best for your swing. Not all regular or stiff flex shafts are the same. Shaft flex will largely come down to which you prefer the feel of during your swing arc. Loosely, shaft flex will correlate with swing speed and higher swing players will fit into stiffer shafts. Should I play a low-spin driver? Drivers with less spin can produce the longest drives. However, as spin rates decrease, the ball flights can become less stable and curve farther offline. Beginning players are encouraged to choose drivers that have higher spin rates to help their accuracy until their strike is more consistent. How do I test drivers indoors? Testing during the winter months and during poor weather can offer golfers a greater chance to analyze their equipment and make new club purchases. Most retail stores have indoor launch simulators that provide you with all the club and golf ball data mentioned above to help you fit your new driver. This was a guest post written by Tony and Paul who are a father and son team who are not only best friends but love the game of golf. They created the Golfers Authority, to provide unbiased reviews, guides, tips and advice in order to help other players improve their game. Tony is also the founder and inventor of the Accuhit, one of the most recognized golf training aids in the world. The Accuhit has been recognized by Golfweek, Golf Tips Magazine, Asian Golf Monthly, and many other publications as one of the most cost-effective golf training aids in the market. This article is the opinion of the guest author. Golf for Beginners welcomes opinions but, as we always say, you should seek out a qualified golf professional for further details before you make a purchase.